There has never been a bigger opportunity than right now for businesses to get coverage in local and regional newspapers. Most media organisations have much smaller teams and they are clamouring for content to fill both their printed issues and the daily online updates on their websites. The key is to make your news interesting to journalists. A blatant plug for your business still won’t work by the way. But if you can supply them with a well-written article or press release, in the style they write in, then you have a good chance of having it published. Most newspapers and magazines no longer employ their own photographers so if you can provide a high resolution image as well then so much the better. 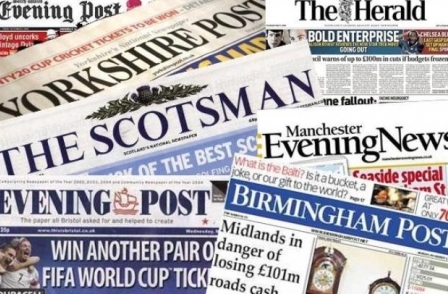 My extensive knowledge of writing for newspapers and preparing press releases for clients, plus my contacts within the industry, will ensure that your business gets covered in the newspaper which covers the town or village your business operates from. I can also take good quality photographs in a style which news organisations and magazines are happy to use. So get in touch if you want press coverage, for the launch of a new product or service or just to increase the profile of your business within the community.